I have had my 2013 Mus­tang for about 3 months now, and put 3,000 miles on it. 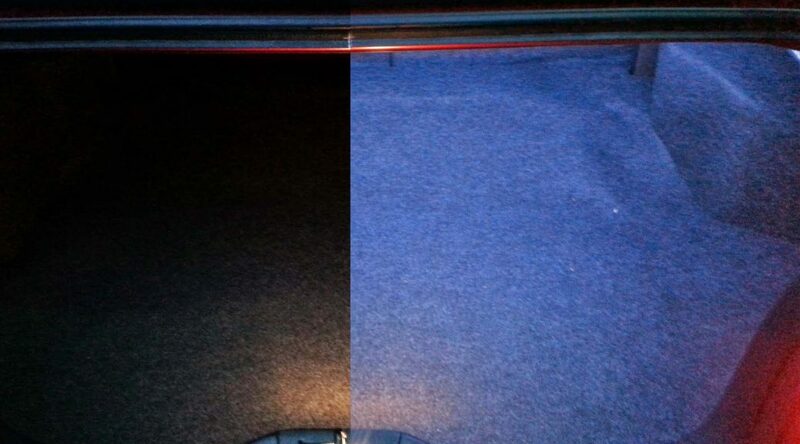 I have really enjoyed the car, but one thing that is lack­ing is the trunk light­ing. 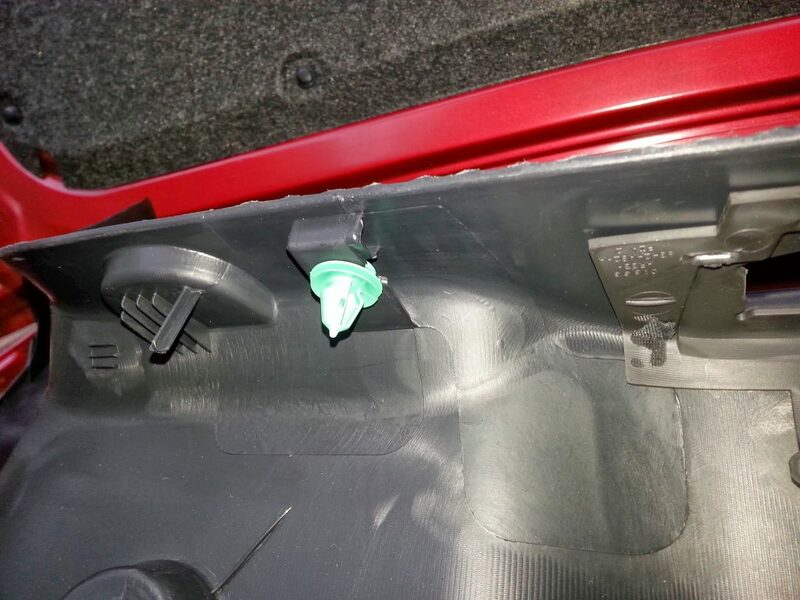 The trunk is lit by a sin­gle fes­toon lamp at the very rear of the car, low to the trunk floor. The light is very eas­ily blocked by most any­thing. A pop­u­lar mod is a LED bar/strip attached to the roof of the trunk, but I have not found a very good how-to, so I decided to write my own. 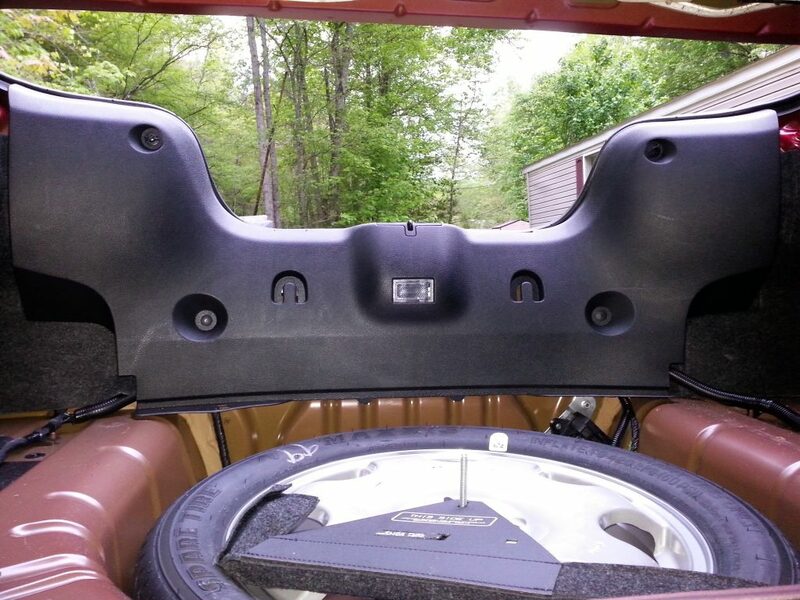 To get to the wiring, you have to remove the rear plas­tic trim panel. It is held in place by six plas­tic fas­ten­ers, two of which are hid­den under the top of the panel on either side of the latch hook. These are a lit­tle tricky, you just have to get close to one and pull up, after you get one pulled out, you can slide the panel towards the other side of the car, and the fas­tener will slide out of the panel. 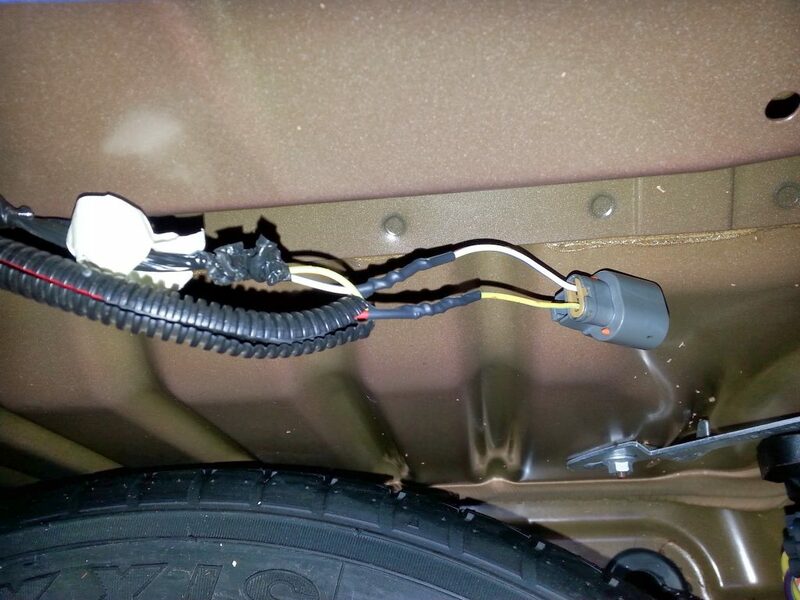 Here is the trunk light con­nec­tor, the light is ground switched, with the switch being in the trunk latch. 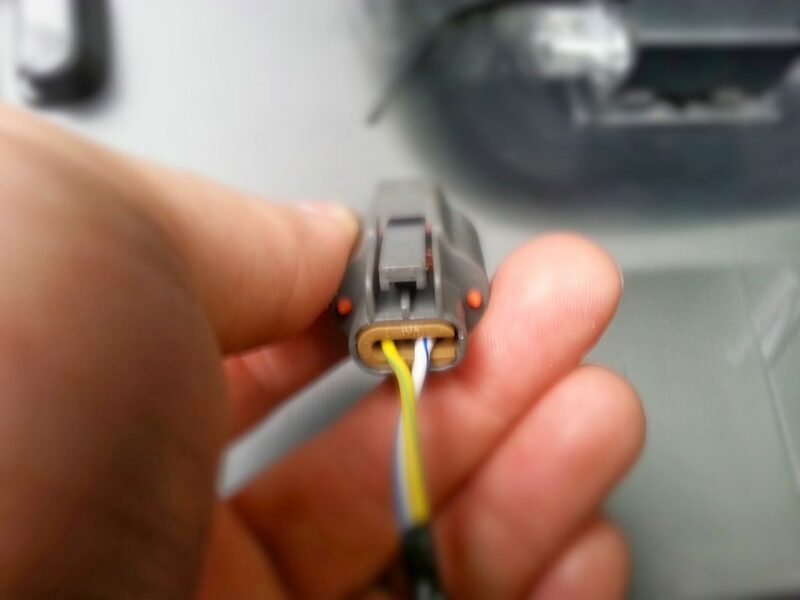 The yellow/green stripe wire is the pos­i­tive wire, and gets turned off with the bat­tery saver relay cir­cuit. 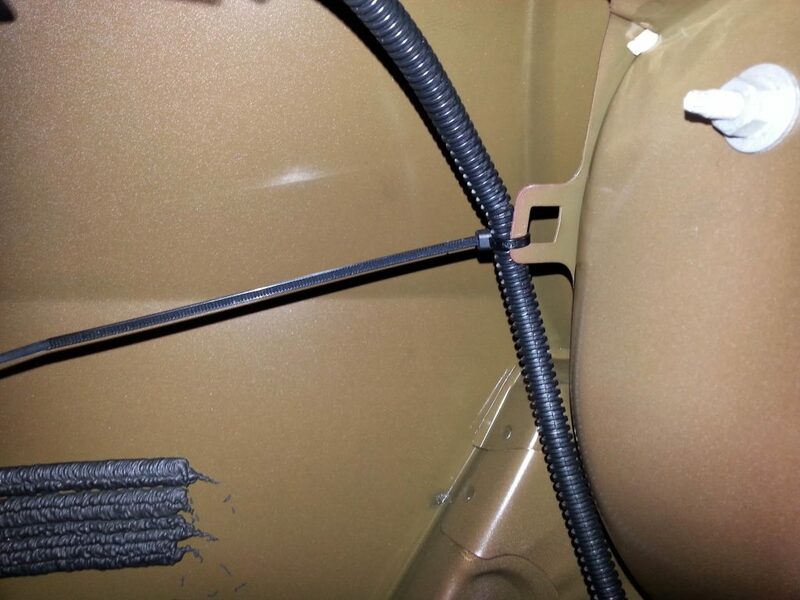 The white/blue stripe wire is the ground wire com­ing from the switch in the trunk latch. 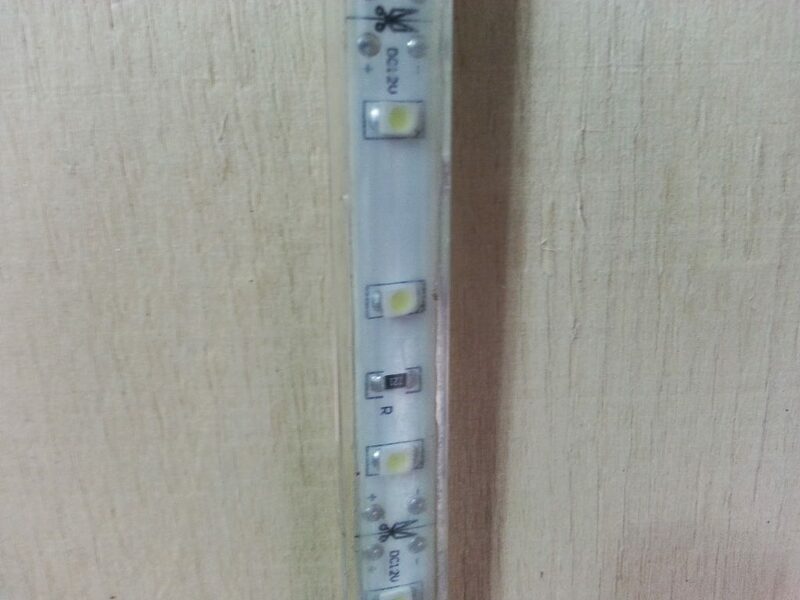 I spliced the pos­i­tive and neg­a­tive wires from the LED strip close to the con­nec­tor. I also used some heat shrink to make the job look pro­fes­sional. 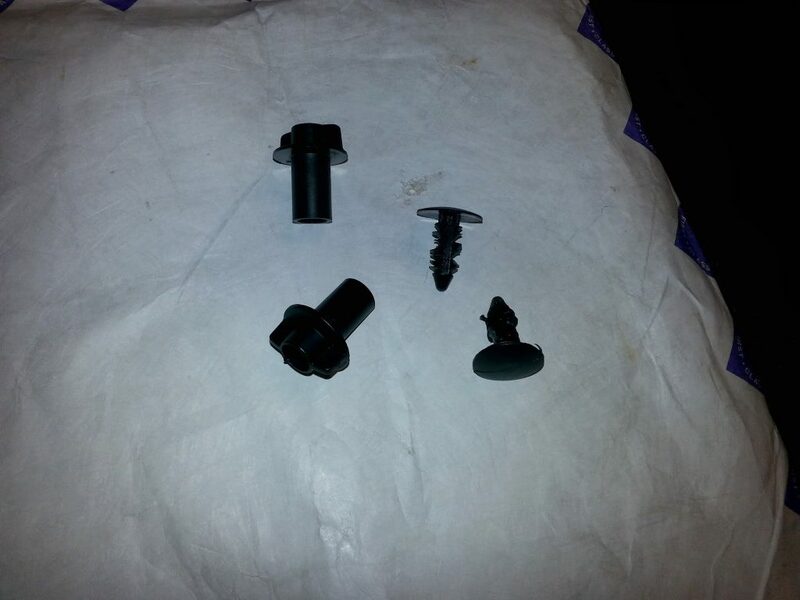 Here is a tip, push the trunk latch closed on the trunk lid to kill the ground going to the con­nec­tor. That will make it less likely of a short hap­pen­ing, but you still want to be care­ful of the yellow/green striped wire, as it will still be hot-unless you wait for the bat­tery saver relay to shut the power off. If you really want to make sure, just unhook the neg­a­tive side of the battery. 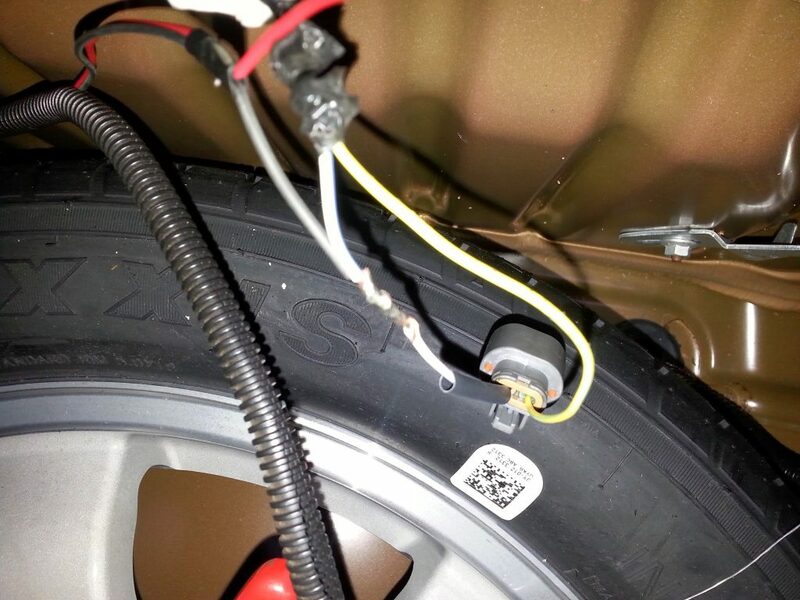 Here is a link to the ser­vice man­ual with the wiring dia­gram for the trunk light. 2011 Ford Ser­vice Man­ual — on the sec­ond page. 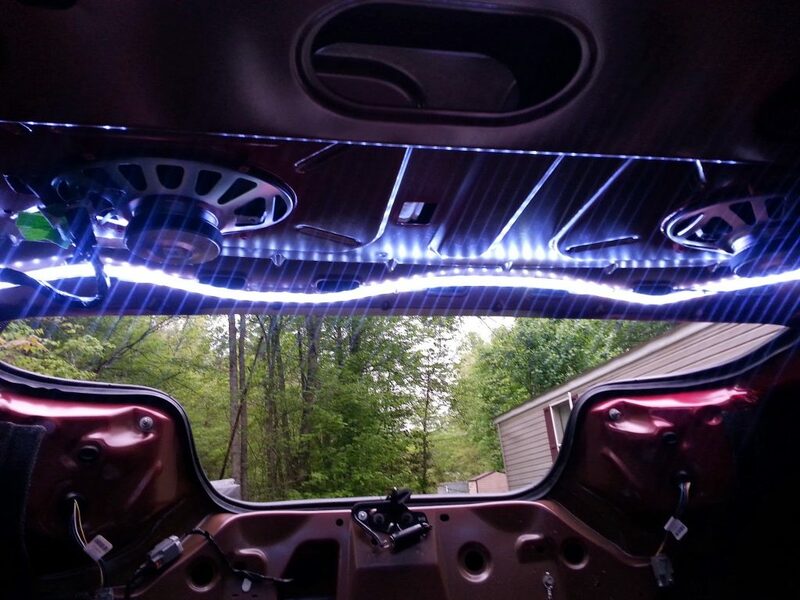 I attached the LED strip to the rear of the trunk roof with some zip ties, and routed the wires with the other wires down the back of the pas­sen­ger rear quar­ter panel. I found a nice tab to zip tie the wires to.